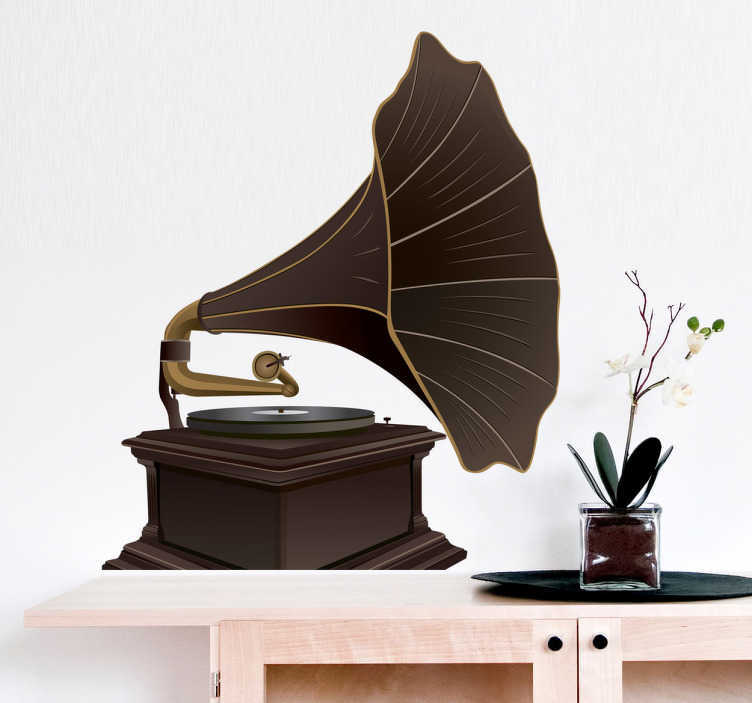 Wall Stickers - Illustration of an old vintage gramophone. Retro feature ideal for music and antiques lovers. Available in various sizes. Easy to apply. Also suitable for personalising appliances, devices and more.